Costa Mesa is made up of five sections, each having opportunities to purchase land. 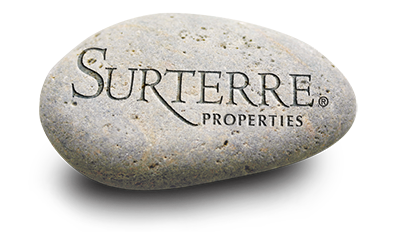 There is land available for building custom homes, condo complexes, townhome communities and for businesses. Land prices will vary dependent on location, size, views, surrounding community and access to local thoroughfares. 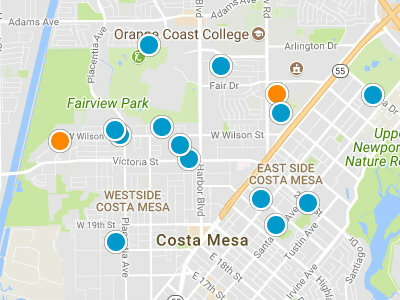 The five areas of Costa Mesa include Central Costa Mesa, Eastside Costa Mesa, Mesa Verde, South Coast Metro and Southwest, Costa Mesa. Central Costa Mesa is located in the center of the city, giving it great access to shopping, dining and services. This is also where the City of Costa Mesa governmental offices are located. For business, the Orange County Fairgrounds are located in this area and draw over 1 million visitors a year. The Eastside section is very popular with residents because of its very close proximity to Newport Beach and the local beaches. Residents are within walking distance of the Back Bay area of Newport Beach and can easily access all the water activities there. Mesa Verde was one of the last sections of Costa Mesa to be developed and as such, careful attention was paid to how the area was laid out and built. Mesa Verde is a very family friendly section, with an exceptional library and many parks. South Coast Metro has a fabulous location, nearby South Coast Mall and many local businesses. This is a prime area for business. South Coast Metro has a large residential population as well. The final area is Southwest Costa Mesa. This is a quiet residential area with great access to local beaches on the Santa Ana River Trail. Currently the Southwest area, is working on the area west of 19th street to redevelop it into live/work spaces. Each area offers many options, depending on the type of land use you are looking for.